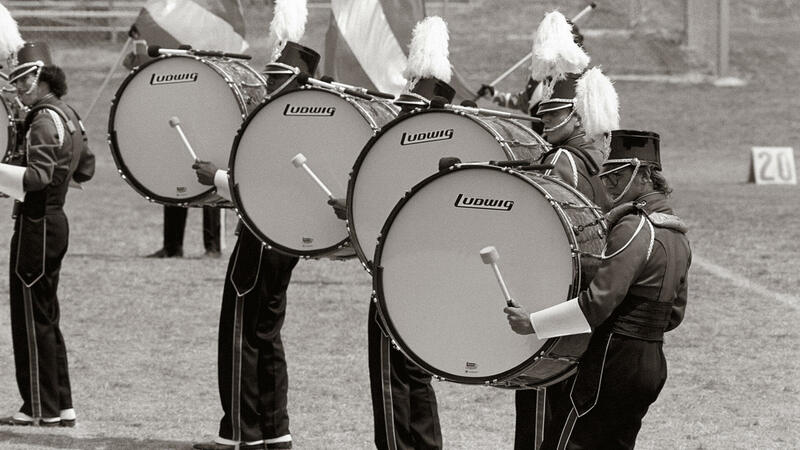 The 1984 Drum Corps International World Championships came to Georgia Tech’s Grant Field in Atlanta. But the one effect people couldn’t stop talking about was Cadets visual designer George Zingali’s surprise company front toward the end of the corps’ “West Side Story” show, which featured flex drill formations that many thought were practically impossible to march. Tower of Power has always been known for its powerful horn section, making its songs attractive to drum corps. The Freelancer’s opening fanfare was part of what the corps titled, “Power Suite,” comprised of two songs co-written by tenor saxophonist Emilio Castilla, baritone saxophonist Stephen Kupka, and organist Chester Thomson, members of the funk-driven rhythm and blues band. The next selection in “Power Suite” was “What is Hip?,” a funky selection that was track one off the band’s third album, the self-named “Tower of Power,” released in 1973. The album was certified gold as number 15 on the Billboard Top LPs chart. The piece featured an all-male rifle section, part of one of DCI’s earliest coed color guards. Interestingly, those rifle bearers started the show with soprano bugles, dressed as members of the horn line. They stripped off their red jackets to reveal silver vests atop white blouses. Then they proceeded to use the bugles as equipment, hoisting the instruments in the air and tossing the horns to one another. After that routine, those performers picked up rifles and went through the rest of the show as part of the color guard section. The soul of the production was “Genji,” brought back from the corps’ 1982 show. Tatsuhiko Arakawa of Tatsuya Takahashi and the Tokyo Union wrote the piece. Also known as the Tokyo Union Orchestra, the jazz ensemble was created in 1964 and became one of Japan’s first jazz bands. “The Tale of Genji,” a piece of classic Japanese literature, was written in the early 11th Century and was the inspiration for Tokyo Union’s musical interpretation. Essentially a poem, the dialect in which it was written became obsolete by the 12th Century. Current translations are heavily edited and annotated so contemporary audiences can better comprehend the tale. The story loosely describes the life of an ancient Japanese emperor’s son over a period of decades. 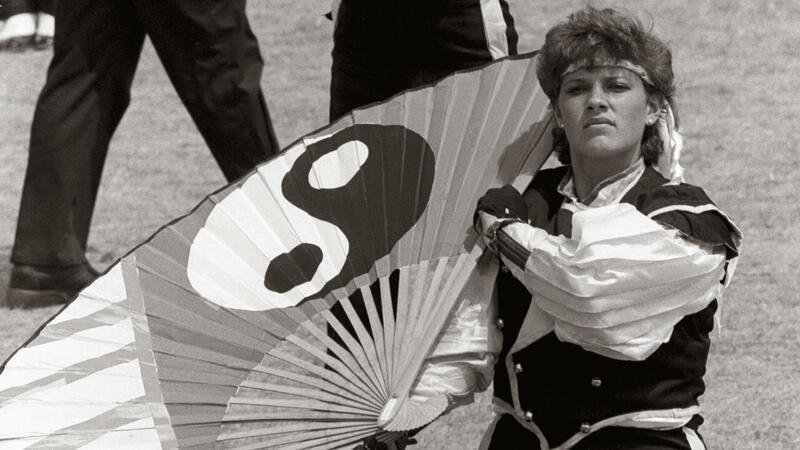 Underscoring the piece, the color guard members utilized Kabuki-style masks, large yin and yang Japanese fans, and stick-fighting choreography to convey the exoticism of the eastern mysticism written into the musical fabric of the work. The piece was written as a series of vignettes of different musical themes and jazz styles, as if taking its cue from the various chapters of the original poem. 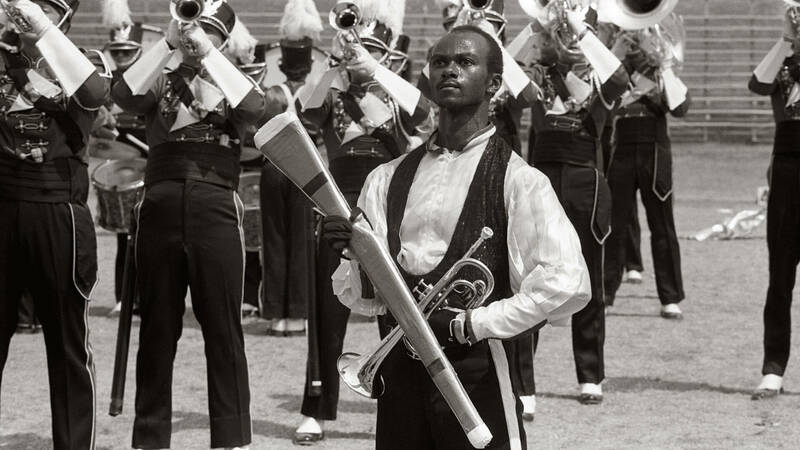 The corps closed out the show playing “With You I’m Born Again,” written by David Shire and Carol Connors and performed as a duet in 1979 by Motown artists Billy Preston and Syreeta Wright. A baritone bugle played the initial slow melody amidst the split-harmony vocalizing of many of the corps’ members. Paired members of the color guard danced to the faster waltz rendition of the melody, leading into a company front push forward that ended quietly. But there was still more to come, as the corps brought back a bit of “You’re Still a Young Man” for one big last blast of just under a minute in length. Two years later, Freelancers went inactive for a year, then returned to the field in 1987, earning a spot as a DCI finalist three more times before the corps’ last season in 1994. For this week only, you can save on the Legacy Collection DVD that contains this complete Freelancers performance, along with all finalists from the 1984 DCI World Championships. Buy the 1984 Legacy Collection DVD. Discount DVD offer ends Monday, March 14. 2016.